Torrevieja The Spanish Sea Side Town of Torrevieja. 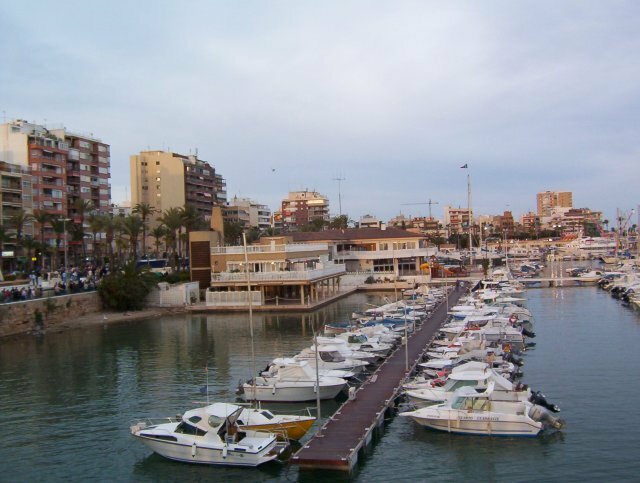 Torrevieja started life is an old fishing town, situated 25 miles from Alicante and 60 miles south of Benidorm. 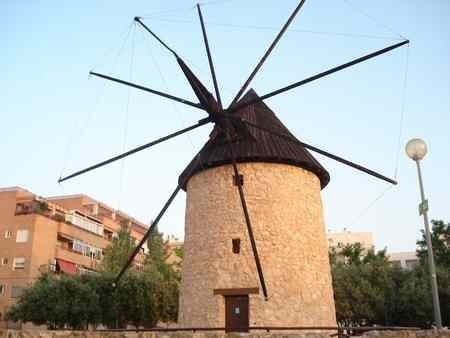 The World Health Commission designated it the healthiest area in Europe. 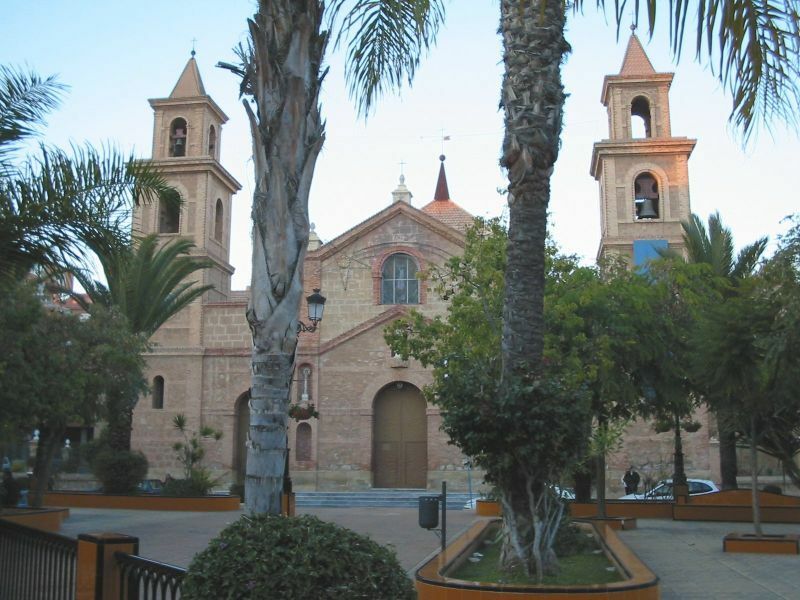 It is a fact that each year thousands of people from Spain and abroad choose Torrevieja area as their holiday location. Its wonderful sandy beaches, lovely parks and a variety of hotels and camping sites not to mention the shopping malls, theatres restaurants and bars make it a popular choice. 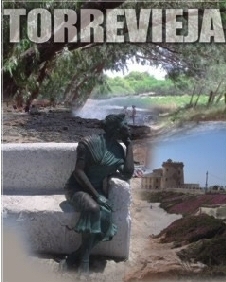 Torrevieja started life is an old fishing town, situated 25 miles from Alicante and 60 miles south of Benidorm. The World Health Commission designated it the healthiest area in Europe, as it is surrounded on three sides by sea and two large salt lakes. The town itself has four golf courses, five bowls clubs, two aqua parks, a marina and a prom several miles long. Most important, there are no tourist hotels, hence no lager louts. The area has about ten days rain per year. 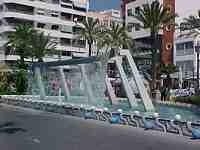 On Fridays the town centre of Torrevieja is transformed into a colourful market place with about 1,200 stalls. Every week you can find an astounding array of bargains, genuine Spanish handicrafts, leather jackets, gloves, bags, textiles and souvenirs. "Muy caro"-too expensive, is the usual cry when bartering in Spain. This time you've come away with a genuine leather handbag, but you were close to buying gloves instead. Soon you will stop at the next stall, choosing from among hand-painted pottery jars, beautifully decorated porcelain plates and tablecloths embroidered with that dash of Spanish flair. There on a shelf you might spot the typical local made ornamental boats coated with crystallised salt, with a wake made of tiny painted shells. Close by there, is a stall displaying silver jewellery, leather bracelets and all kinds of costume jewellery. The cries of the stall holders mingle with the bids of the enthusiastic bargain hunters. The sun sparkles through the palm leaves as the sea air sweeps in over the market place. "Si, si, senor. Bueno!" 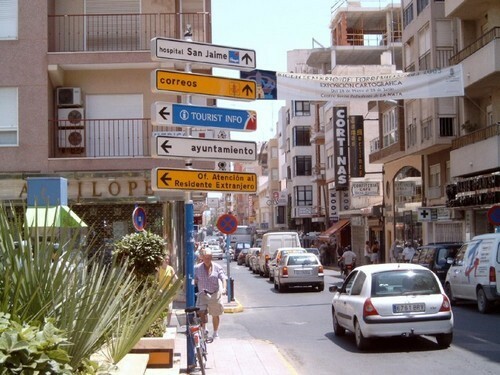 Torrevieja has around 85,000 permanent inhabitants. This figure increases in the peak months of summer to over 600,000. Every August there is a "Habaneras" contest of traditional folk songs. The food displayed in the cool, permanent indoor market makes your mouth water. The stall holders show off their supplies of delicious greens and fruit with lively gestures. The fish is so fresh that it is still wriggling. The mussels, oysters and "gambas"-large prawns are delicacies that you will not be able to resist unless you keep your eyes tightly shut. The air is saturated with the aroma of fresh spices sold by weight. On the coastal road towards La Mata . It's well provided with bars & restaurants. 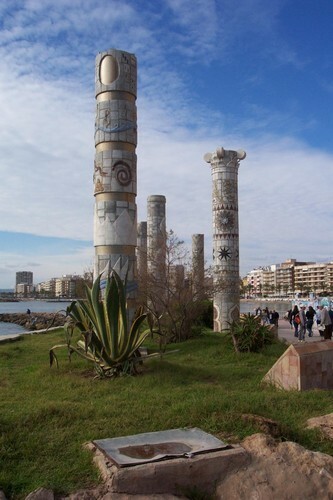 From here the promenade stretches 3 kms into the town centre. Showers on the beach and is cleaned daily. "The Blue Monkey" operates on this beach plus also you can Paraglide, Water Ski or take your thrills on the Banana! Not far from the Los Locus beach going towards town. 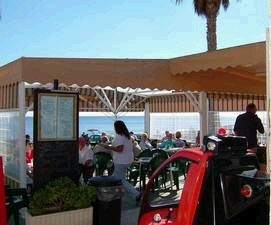 It is very popular with a variety of bars, international restaurants, water sports, etc. Off the main road . Also has the international Marina with a blue flag. Bars and restaurants surround it. Find this beach just off the main road going towards Cartagena. Another nice sandy beach just across the salt conveyor from previous beach. This beach is situated approx 8 kms along the Cartagena road and is often used by families when their other half is off playing golf at Villamartin. One of Torrevieja's claims to fame is it's football club or to be more accurate it's amazing supporters - amazing in both their numbers and the passion they show. Although only in the Tercera they have crowds that teams two divisions above would be pleased with. The most amazing fact is that perhaps as much as 75% of the spectators are expats. 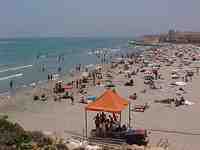 Click above for Discounted prices of Hotels in the Torrevieja Area. Save up to 75% on your reservation!